Does your head ever get so full that you can’t think straight? Is it getting in the way of your routine? You might chalk it up to, “it’s just one of those days,” but in the eventuality that it bleeds into another day or two, your inner voice begins to nudge. It’s impeding on your productivity. You know when you know. Something’s up. Ironically, in some cases, this sense of overwhelm has nothing to do with the physical clutter at all. In fact, your home could be very orderly and closets fairly organized and yet, you are still distracted, and somewhat anxious. You feel off. You’re more forgetful and definitely not on your game. Chances are that if you not addressing your anxieties, they are likely to mushroom into a heavy cloud of emotional clutter in your head. This can be just as paralyzing as physical clutter. When self-defeating thoughts invade, it not only clutters our brain, it drains our battery. It can stop us dead in our tracks. We can become both unglued and stuck at the same time. In the attempt to ward off this uneasiness, many of us internalize the anxiety and bury it deeper through either avoidance and denial. But if left unresolved, in time it will fester. It will grow and build like tumbleweed. Clearing emotional clutter is so very difficult and complex. It’s not tangible yet it’s something we hold on to. We feel it deeply. So how can we possibly toss it? As with the clearing of physical clutter, there are some steps we can follow to begin the shedding process. Acknowledge that you may be emotionally stuck. Pay attention to the signals. Recognizing and admitting to the struggle is the very first step and will allow the buried emotions to surface. Sort and organize your feelings, just as if they were things. Too many contrasting thoughts swimming around in your head can compete for your attention. Try to write them down and pinpoint them. Some emotional clutter can be clear and definable while others may be less conscious. You may be overwhelmed with negative self-talk, worry, guilt, shame, doubt, fear, or stress. Classifying your emotions and distinguishing your frustrations with all your life relationships (personal, family, and in the workplace) can be a very cathartic process. This process alone can provide some clarity. Once you have sorted the emotions, you can evaluate how they are getting in the way of your “stuckness.” Before you can purge the negativity, you must find the pain. Identify the source of the negative thoughts and feelings through honest introspection, or by enlisting help from friends, family, or a professional expert. An objective eye is sometimes more accurate than self-talk. 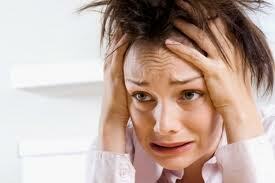 Give yourself permission to feel the emotions but not to inhibit your daily productivity. Confront your demons. Unburden. Look to resolve the conflicts in your personal relationships. It is unlikely that they will fix themselves. Release and let them go. As with physical clutter, by letting go, we can create more space for positive energy. Now that you’ve sorted, evaluated, and purged the emotional residue, you’ve cleared the clutter and can move forward with an untroubled focus. Understand that over time we all accumulate some measure of emotional clutter. The more self-actualized we become, the more skillful we will be in managing it. When it interferes with our life-balance , it’s time to repeat this process. Day 23: (June 14) There are all kinds of junk. 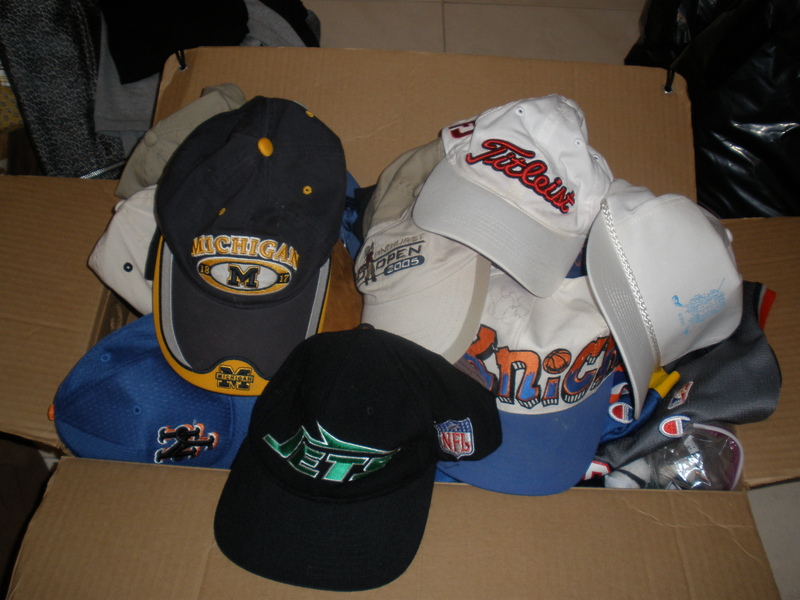 After 33 years of accumulating so much , there comes a time to assess what’s dated and no longer cool to hang on to, and the things you’ve outgrown. We grow, we age, we change. Through the years and if we have the room , we tend to keep a historical trail of our taste in artwork, decor, and so much more. But hey, I’m moving and now I HAVE to choose. 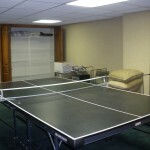 My entire home has been re-modeled in the past eight years, with the exception of an upstairs sitting room. The sleeper sofa in that room looks ugly to me now, and the hanging artwork is much too contemporary for my new decor. My children’s rooms have TVs that work, but they are as old as dinosaurs. Think it’s time purge and let it go. So, although they really shouldn’t be classified as junk, they might as well be to me. So what do you do with all this stuff? You call JUNKLUGGERS! 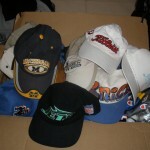 They are an amazing and reliable junk removal company based out of Port Chester, N.Y. (www.junkluggers.com) which picks up your junk, recycles and donates your undesirables. To be honest, I was very concerned about how they were going to negotiate this huge sofa out of that small room, and make a very challenging turn down a mahogany banister, and skirting by a large crystal chandelier hanging in my foyer!! I was quite impressed with their professionalism and their genuine respect for my home. They took great care in protecting my hanging wall-art, my ceilings, and padding of my banister. 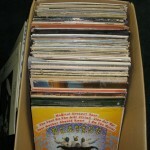 Most importantly, I was pleased with the organization of it all. They had to have a plan, and talk about it prior to the actually moving and lifting. There were pauses along the way so they could stop, rest, and re grip the couch. It was a successful team effort, and while they had each other’s back, I had my eyes closed!!! When it was safely out my front door, I sighed with relief, and enjoyed the continuous exiting of multiple old TVs, area rug, old beach chairs, and other random items from my garage. They hauled my junk away, and knowing it was going to good places, I was a happy camper. In these regard, letting go wasn’t so hard. High recommendations for these guys, for sure. Thank you Asher and Kevin. Day 22: (June 11) Another day, another weed. It’s beginning to feel like a cleansing. 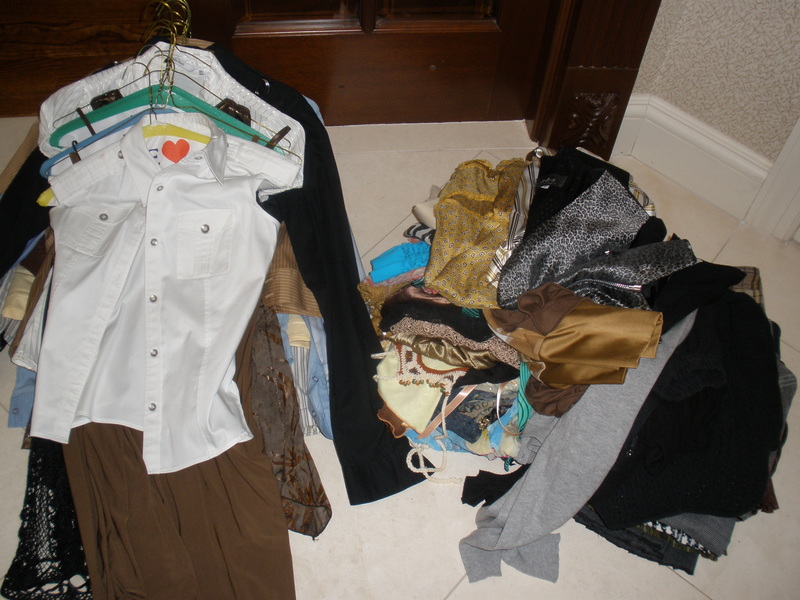 Went a little crazy in my closet and managed to turn order into chaos! 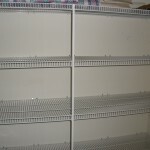 I know that sounds crazy for an organizer to admit, but once I detached from the clothing that was hanging there for over 15 years and not worn, I started tossing like crazy. There were shoes (mostly black) with every heel and toe shape possible, handbags not used, worn socks, etc. Bagged it all, and schlepped them back down to the foyer for another pick-up. Called Vietnam Veterans of America this time to donate my undesireables. Once they came and took it all away, I must say this kind of empty felt amazing. 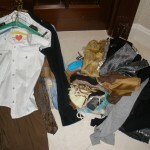 I felt both happy to give to a needy charity, and relieved to get rid of so much clutter. I have to say, purging was very liberating. No regrets. Don’t miss any of it! Day 20: (June 2) After some research, I discovered that some bookstores will redeem books for cash , provided they are in the range from good to mint condition. So it was time to weed and through my piles of books, purge, and go to Huntington Book Revue(Huntington, L.I.) 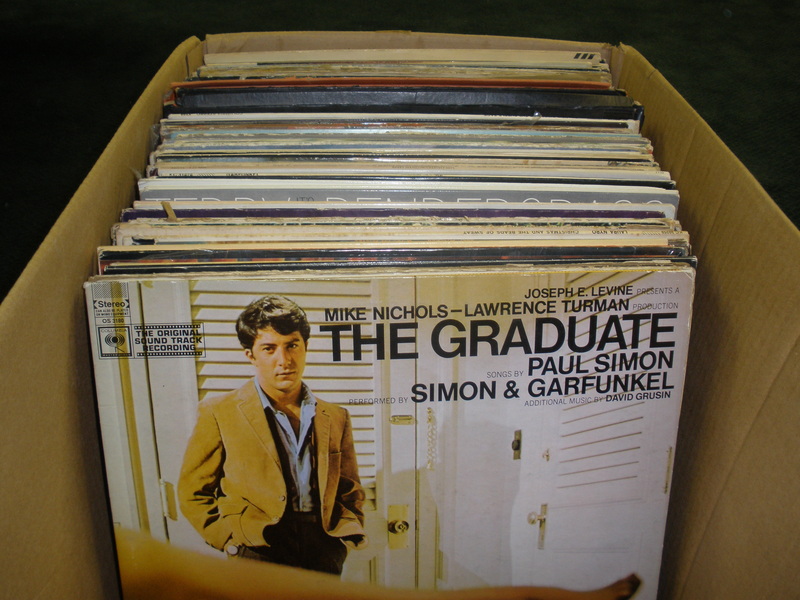 where I parted with some of my favorite classics. I evaluated honestly that I would never re- read them, so I sold them!! The balance of books that were not as desirable went to my local library. 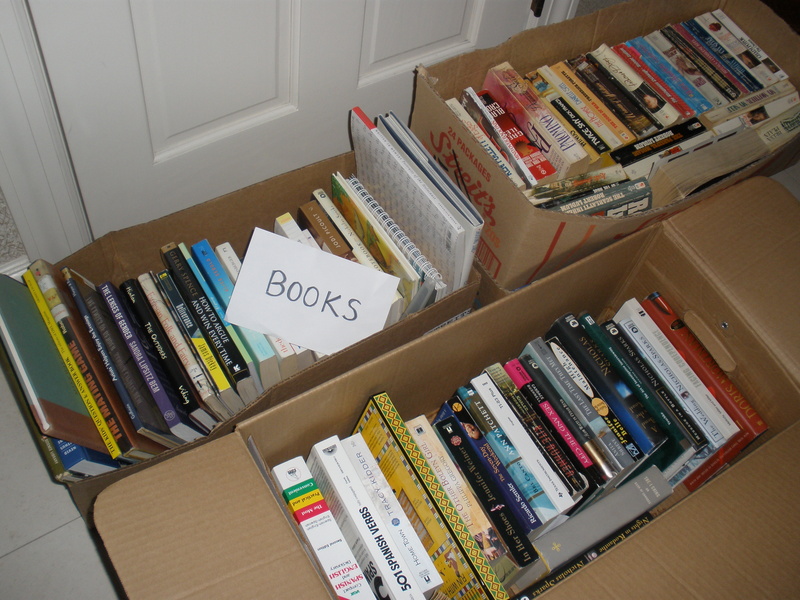 The Syosset library will allow a maximum of two filled trash bags of books. Since my World Book Encyclopedia was archival, and no one would take it, I donated it to a Senior-Care facility. 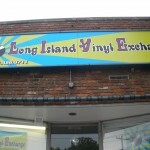 Re: my vinyl record albums…..Located The Long Island Vinyl Exchange (Northport, L.I.) 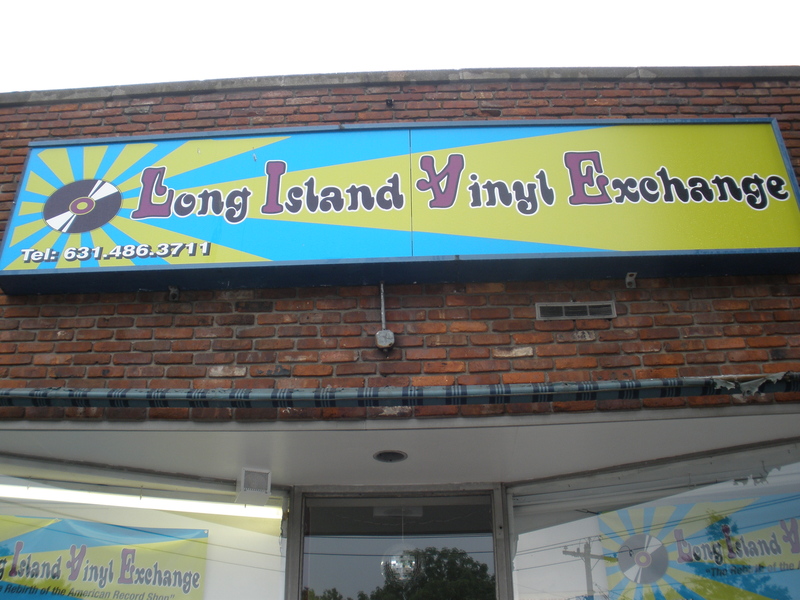 The appraiser evaluated my collection and gave me $50.00 for my old beaten up records (hey, money is money) He offered me a higher value of $160.00 to exchange for store credit. That’s the way the exchange works. 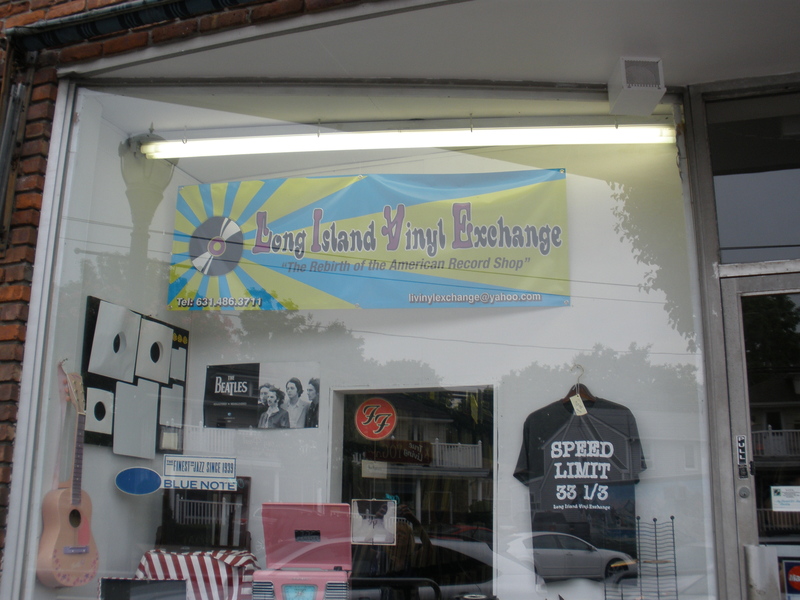 The store had amazing archival musical instruments, authentic souvenirs from Woodstock, record players, and millions of vinyl records, both old and newly recorded ones. I chose the money. 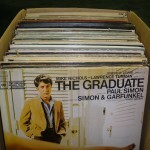 Got a great education on the value of vinyl records. 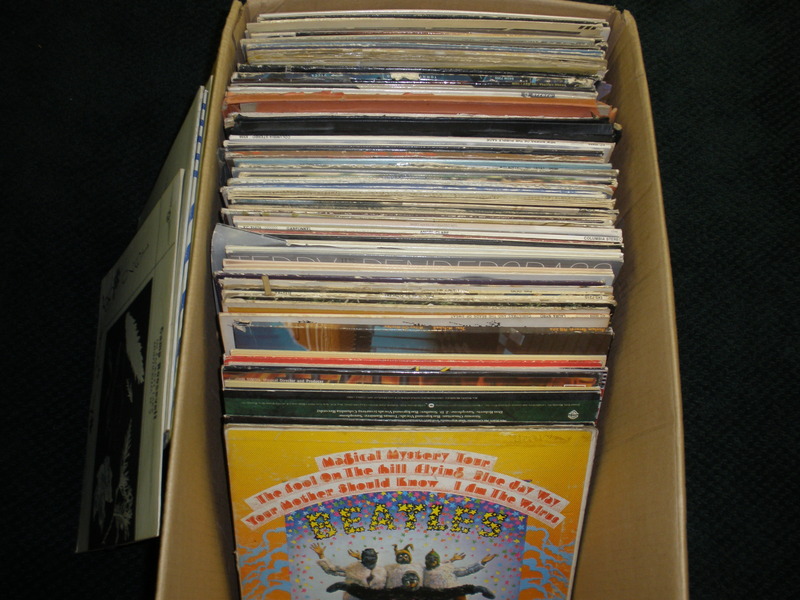 My same collection would have been worth hundreds more, had they been in better condition. 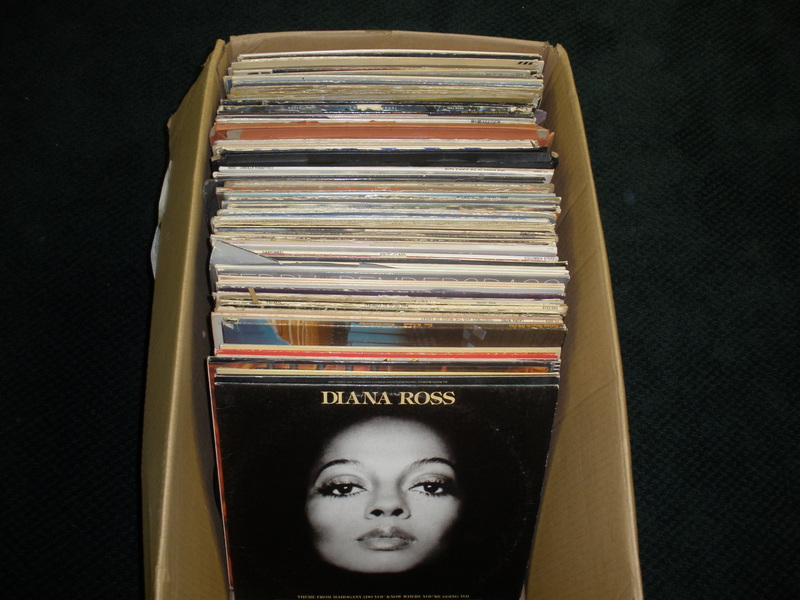 So sellers beware, if you have saved any old records and have preserved them, you could be eligible for some decent money. 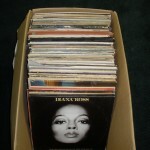 Some of the editions of my albums were recorded and produced in the millions, so they were not rare enough to buy back. Very knowledgeable guy. Highly recommend the place. Day 18: (May 24) Another weed, another purge. Now that the kid’s had parted with so much stuff, I really needed to micro-organize my foyer area with like items with like items, separated clothing by seasons, and bagged them. At the end of the day, my foyer was jammed pack with trash bags and boxes. 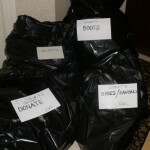 A friend of mine volunteers her time to pick up donations for a variety of charities. I invited her over to sort through my piles and see which charities could best benefit from my things. 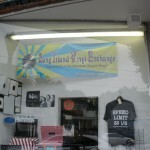 The Huntington Interfaith Homeless Initiative, (based in Huntington, L.I.) 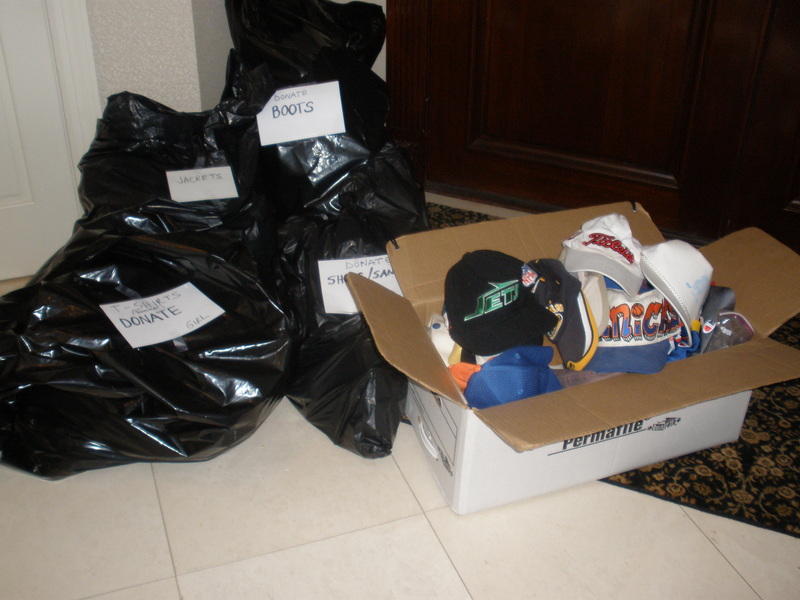 was in dire need of my clothing, my kid’s clothing, hats, toys, stuffed animals, blankets, andchildren’s books. 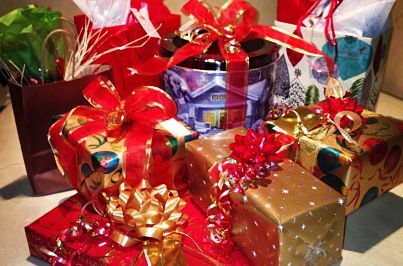 I filled my assortment of wicker baskets with hotel soaps, perfumes, body creams, and knew that the women who live in the shelter would be overjoyed. It was an exhilarating feeling to be part of such a worthy cause. I felt empowered, wanted to give more. I learned about a group of students from Northport High School, who call themselves, “Students for 60,000″. This non-profit group was formed in 1987 designed to raise funds to support the 60,000 homeless at that time. Today it is comprised of High School students who volunteer their time in Nicaragua to physically build homes, schools, and this year, the very first library ever, for poverty stricken children. My “ah-ha” moment……My 7 pieces, of luggage was ideal to transport all donations, books, and medicines they would need to transport. It was an honor and pleasure to participate in their effort. 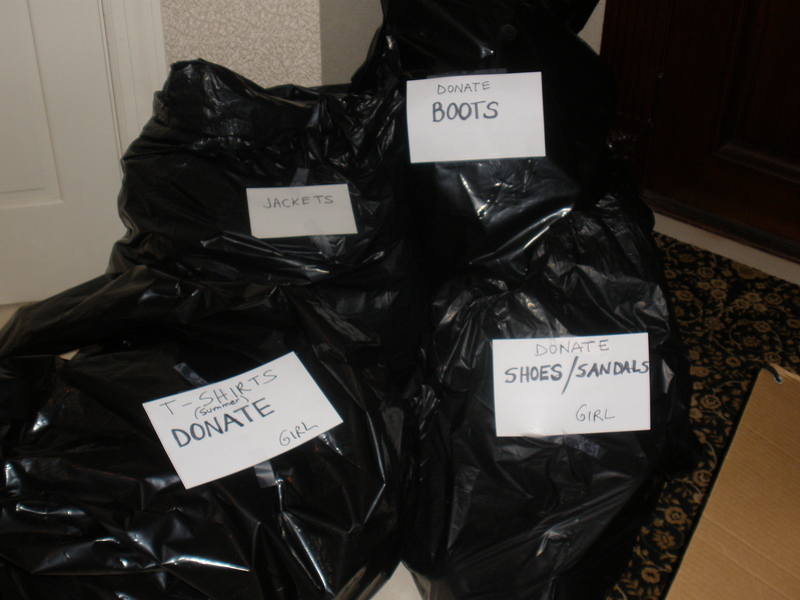 Another wonderful place to donate to is the Confidence Closet (Huntington,L.I.). This is a designated section within a thrift shop that offers poverty stricken people appropriate clothing to go on job interviews. 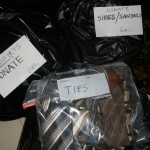 I was inspired to donate my husband’s suits, sport jackets, ties, dress slacks, and my finer clothes, handbags and shoes. To know that your things can be useful and enjoyed by others is gratifying beyond words. Day 17: (May 22) Today I insisted the kids come out to clean out their respective rooms. I would never take the liberty to toss their stuff; it’s theirs! Interestingly, the kids thought it wasn’t going to be such a big deal to sort, weed, and pack up their rooms, but every time I peered into their room, they were completely entrenched in their personal photo albums and making little progress. Intermittently, both my son and daughter shouted out for me to come share something they discovered. I laughed to myself and realized that they too needed their own special time to revisit their past memories. But shortly after, (hah-hah) the relentless commando organizer took over and I insisted they speed up the process. I was very mindful that don’t live home anymore, so each visit had to be a very productive one. Not surprising, at the end of the day, they only made a small dent and I might add, a very large mess! My son was quick to toss and purge his old clothes and miscellaneous items that he hadn’t missed, so made another big pile for donation. My daughter, on the other hand, was far more reluctant to part with a favorite tee shirt she’ll never wear. 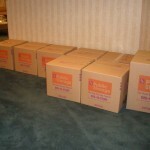 Of course her photo albums were organized, labeled, and ready to pack. Like mother, like daughter. They will be back to finish, begrudgingly. 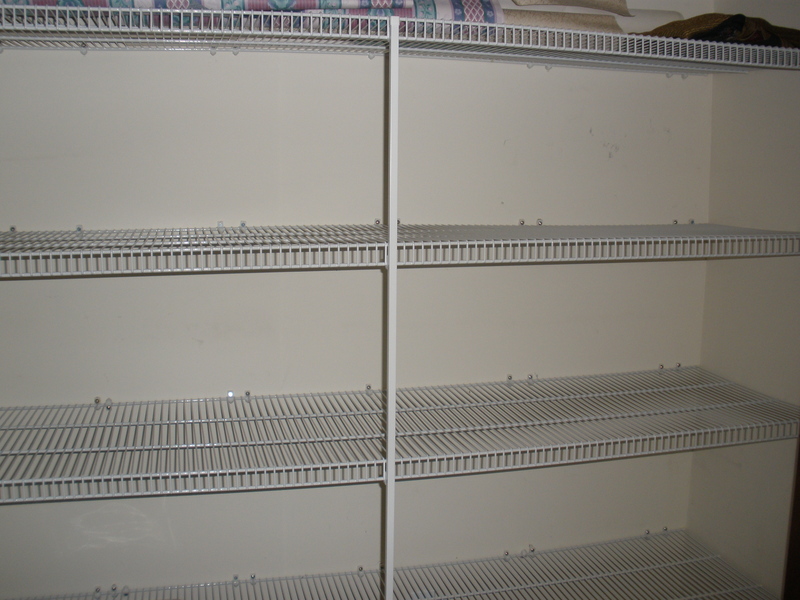 Day 15: (May 14) Emptied the balance of items in the game and craft closet and the linen closet to sort and weed. Had accumulated so many extra blankets to accommodate sleepover company, but today just saved a homemade crocheted patchwork quilt that my Mom made, and a favorite, cozy duvet from my Mother-in law. Put aside one random blanket just in case we need it at the other end of the move. There seems to be a light at the end of the tunnel, at least on this level. 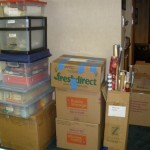 I’m thinking that the hardest emotional purge is now behind me, and now I am tossing the clutter at a much faster rate. I am noticing the rooms are looking bare and although this is clearly the goal, I can’t help but feel a little “empty'” and hollow inside. 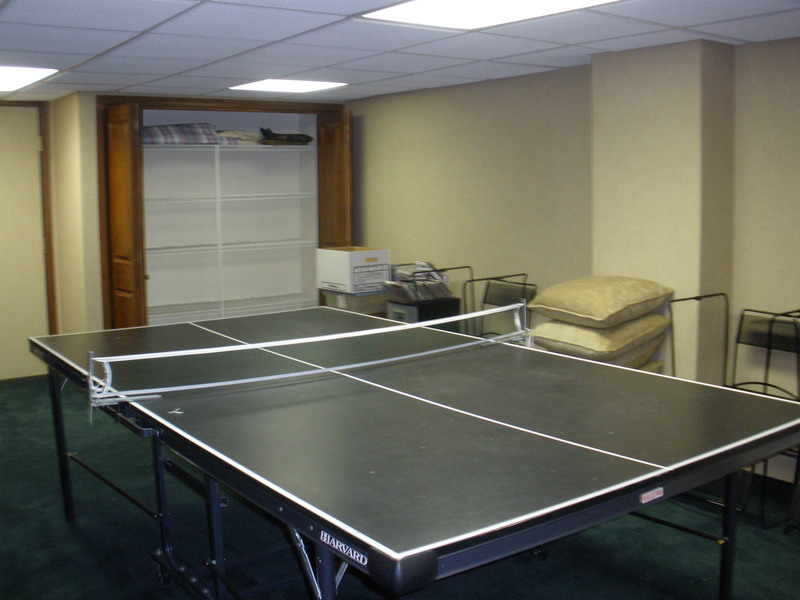 This was once a room filled with so much laughter and commotion.The kid’s had countless, mass sleepovers for so many friends throughout the years, and now the quiet was almost deafening. 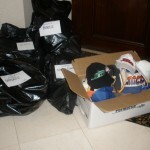 Arranged for a pick-up dates for my unwanted items, called Clothing Drive to support Alzheimer’s Foundation of America. 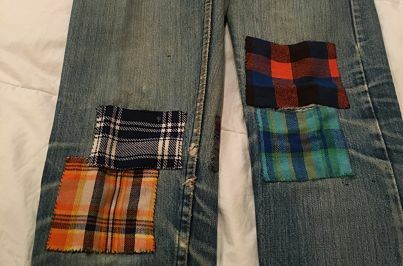 Trying to spread the donations around to a variety of charities. 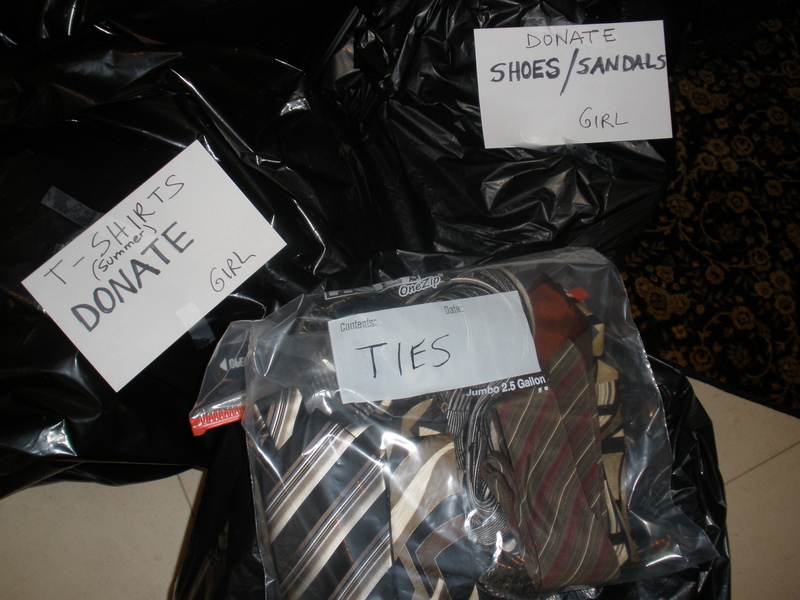 Bagged and labeled with their respective pick up dates. The sorting and purging are completed on this level, next comes the actual boxing. 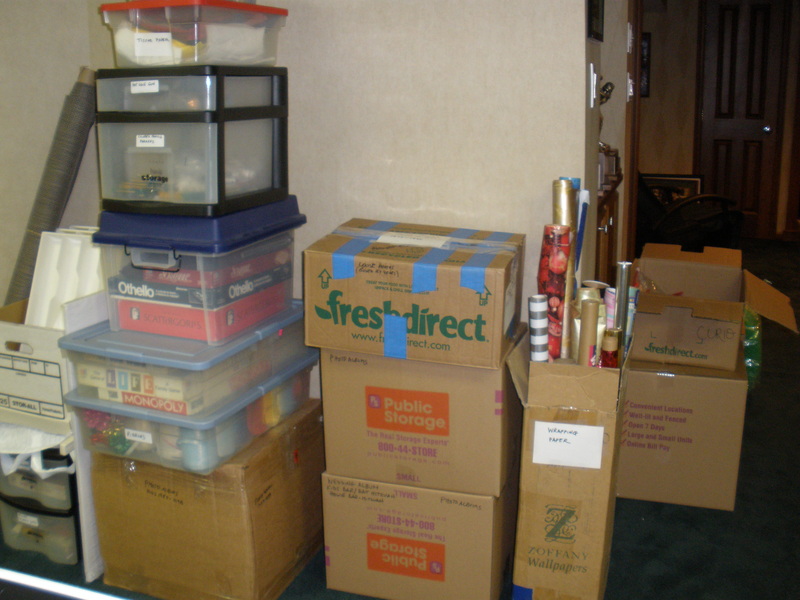 Will need to organize that process with consideration for the unpack; what boxes will probably be stored in the garage temporarily, and what boxes will need to be accessible and unpacked for use.